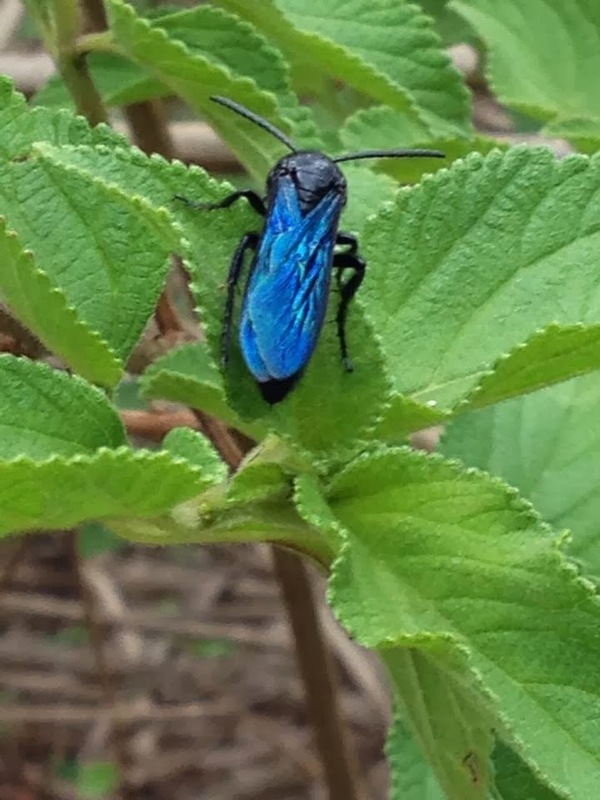 Today I decided to add a new section to my blog; local insects and animals. Every so often we find an unknown insect or animal around the humpy and it causes a rush towards the book shelves and the computer to find out what it is and what it does. From now on I will add the results of these research missions to my blog (partly so I have a record of what we have already researched, as I suspect we have looked up some things more than once and forgotten the results). 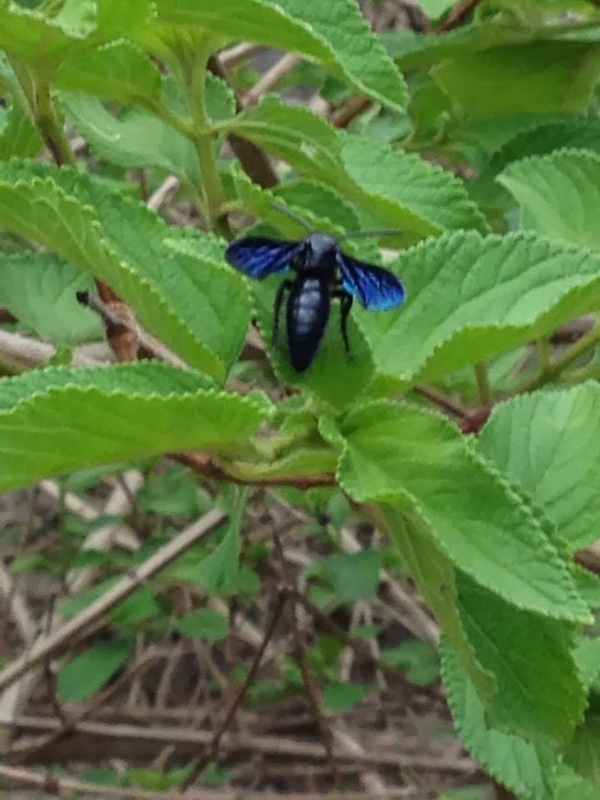 My youngest daughter captured this photo of a black flower wasp on the lantana. Haven’t they got pretty wings. My youngest daughter was fascinated by the lovely blue colour of the wings and by their solitary nature. According to the CSIRO these wasps are solitary wasps who are responsible for pollinating many Australian natives (and a few exotics too) they lay eggs in caterpillars to reproduce. So many Australian native insects tend to be solitary, I wonder why they have evolved this way? Given the worrying drop in the bee population of the world, I think it is important to encourage other insects who are capable of pollinating our food crops, or we may find ourselves very hungry. 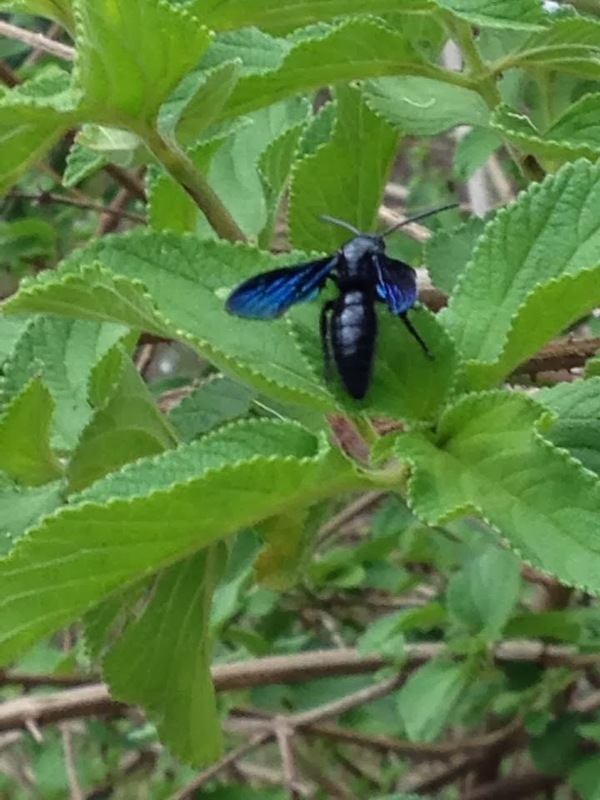 While the black flower wasp is known to pollinate mostly native plants, there is so little research on them that they may also play a large part in pollinating high nectar food plants like pumpkin, melons and marrow. 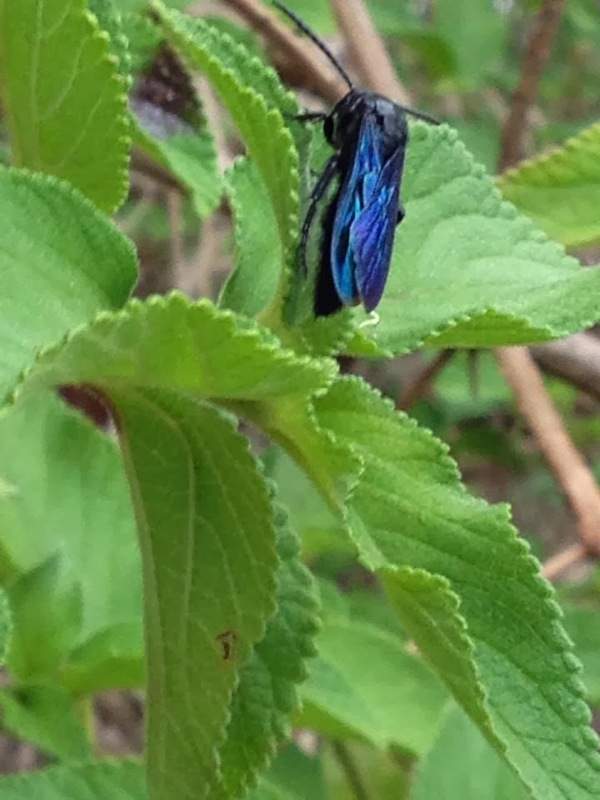 They enjoy high nectar plants and undisturbed mulched areas, so make sure you have some of this habitat in your garden and you will have these delightful wasps to entertain you and help control Caterpillar populations. I'm completely ignorant when it comes to insects. Thanks for starting this section. I have already learnt something new. Laying eggs in caterpillars–and fascinatingly morbid way of (1) reproducing and (2) exterminating pests. Thanks Paul, I find them really interesting. In the insect world parasitic reproduction is fairly common (so glad I'm not an insect sometimes).